For use in commercial 2-pipe systems. 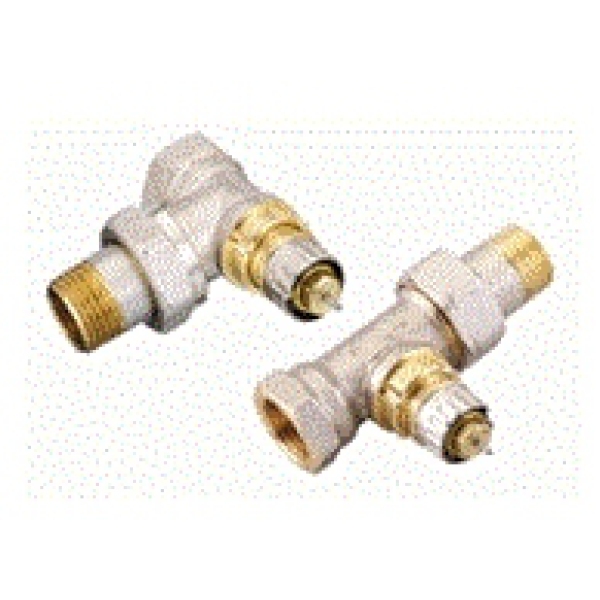 RA-N valves are available in 3/8”, 1/2” and 3/4” sizes in angled and straight pattern versions. RA-N valves can be used with all RA2000, RAS-D2 & RAS-C2 sensors, although valve capacity is reduced if RAS-C2 or RAS-D2 sensors are used. Valves with pre-setting allow the commissioning engineer to precisely set the calculated flow of water to individual radiators without the need for costly and inaccurate temperature measurements. They also reduce the function of the lockshield valve to one of isolation rather than regulation. In the Danfoss Randall range, pre-setting is achieved by means of a separate pre-setting device integrated into the valve body, and does not interfere in any way with the degree of opening of the valve cone, as seen with other pre-setting systems. Pre-setting is achieved by means of a calibrated setting ring on the valve body, which is covered once the radiator thermostat is mounted. Provides accurate flow regulation in 2-pipe systems.